​​ ​DALLAS – With 98 percent of the office space being leased up at The Shops at Park Lane, Northwood Investors has unveiled plans for a new 11-story, 340,000-sf office tower. 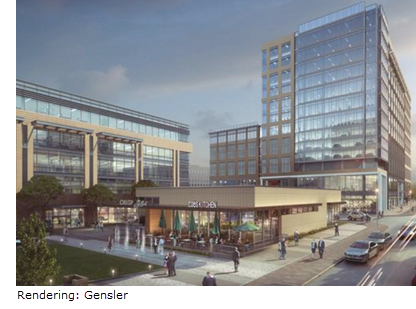 The office tower at 8010 Park Lane will sit on the north side of The Shops at Park Lane, and will include ground-floor retail space that will open up to a community park. A general contractor has yet to be named to the project, which is expected to take 18 months to build.